Not a chance Anyway with a big bike through that sand will be a huge challenge. 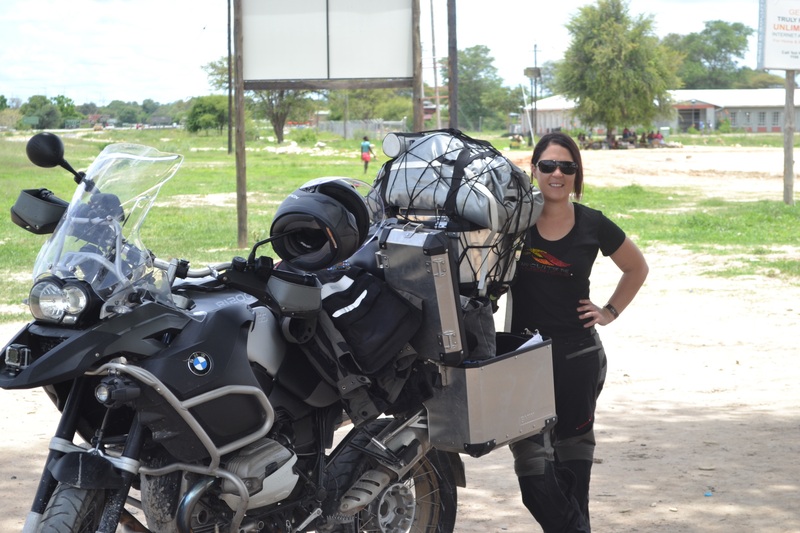 As far as I know bikes are allowed through Chobe, but only along the tar road from the Nam border to Kasane. You'll be lion - food before you get to third bridge!...... not sure that the authorities will allow bike on this route... besides... the sand monster will get you and you'll be totally exhausted (if) when you get to Maun! You can get from Kasane to Maun off tar, but not via National Parks like Chobe. You can take so called cutlines (fire breaks as far as I can tell) along the eastern border of chobe or connect to the 19th parallel cutline, which goes directly west from the tar south of Pandamatenga to the Mababe gate at the southern border to Chobe. Also there is another east west cutline about 30 - 40 km south from the 19th parallel which connect to the dirt road on the Moremi boundary about 20 km south of Mababe village. I have done that one in December solo on Husky 630, but solo it quite a bit pushing it - there is none there for 200 km straight, but shiploads of elephants and other big 5 - I have flashed out two lioneses on the Chobe boundary, but luckily they run away. It is basically equivalent of going through Chobe, but without benefit of anybody being there. We have just returned from a trip to Botswana, and travelled from Maun to Shakawe, and then from Shakawe via the dirtroad to Divundu (across the Namibian border), into the Caprivi Strip to Katima and from Katima to Kasane (opposite route as your travel). From Kasane we travelled to Nata. Even though we did pass through the Chobe National Park, we only did this on the tar road from the Namibian/Botswana Border (Ngoma Gate) to Kasane.